Paris: Sanofi boosted its presence in cancer research by signing two deals with biotech companies worth up to $1.2 billion, as the French drugmaker plays catch-up with rivals in the hot research field. Shares in French biotech group Innate Pharma, one of the partners, jumped 15 percent on the news. Switzerland’s Novartis also announced a deal with U.S.-based Surface Oncology to increase its immuno-oncology portfolio, although it did not give financial terms. Scientific advances in understanding cancer have prompted a flood of pharmaceutical investment in research in recent years, with most excitement surrounding treatments that help the immune system fight tumours. Bristol-Myers Squibb, Merck, Roche and AstraZeneca are currently leading the pack in such immuno-oncology, but other firms are looking for promising opportunities. 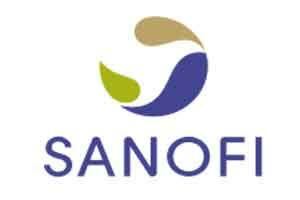 Under the new deal with Innate Pharma, worth up to 400 million euros ($436 million) to the Marseilles-based biotech group, Sanofi will get access to new technology to develop so-called bispecific antibodies to fight cancer. The hope is that the new approach will focus the immune system to kill cancer cells more effectively by engaging natural killer cells. Separately, Sanofi is also extending an existing partnership with unlisted Warp Drive Bio with $750 million in new funding from the drugmaker. Under the deal, Warp Drive will lead joint research on new cancer drugs, while Sanofi will be the leader in a collaboration to find new antibiotics, the companies said in a joint statement. Sanofi has been a major backer of privately held Warp Drive since its creation in 2012.